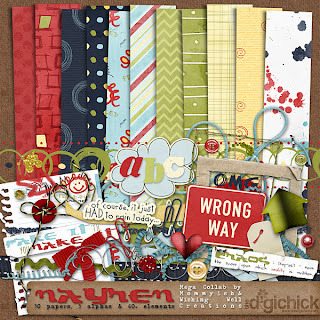 This kit, called Mayhem - a collab by Wishing Well Creations and Mommyish, is so cool! It's about all of those not-so-perfect moments and they need to be scrapped to, right? Well, I had some cute photos of a really mad Leo and this kit was so right on spot for them!